Here at Wulstan Fencing we supply and fit fencing in Nantwich in Cheshire we have many different types of fencing in stock from the standard waney lap panels, heavy duty close board panels, to the decorative panels in Nantwich to make your garden stand out and look amazing, All the panels are pressure treated to help them last longer from rot, over the years we have found all the best quality materials we can, to make sure we have the best product available in Nantwich, Cheshire. 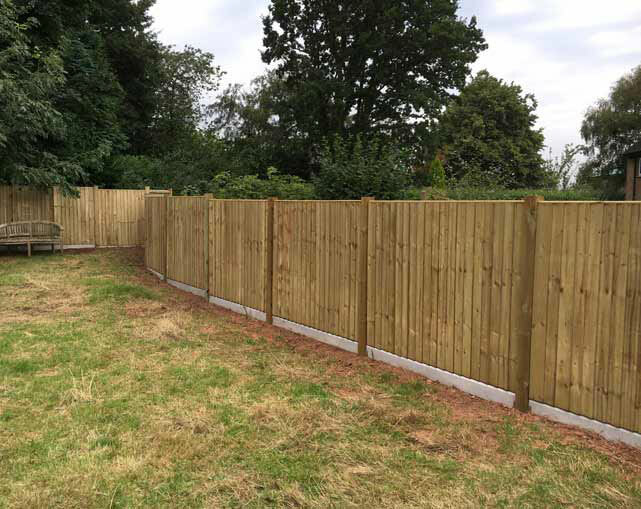 Traditional close board fencing is constructed on site this is what you see on new builds vertical feather edge boards are fixed to arris rails which you can have wooden posts or concrete posts. 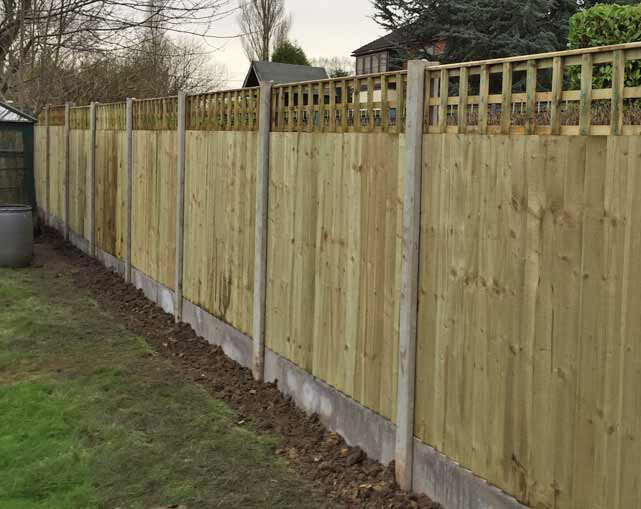 This fencing is more flexible that stand paneling because this comes in 3m lengths so you have more of chance to miss all the trees etc and great for slopping gardens so this prevents you stepping the fence, close board fencing in Nantwich, Cheshire. This is the standard fencing close board or waney lap panels which comes in 6ft wide as standard these can be cut down or a bespoke panel can be made to 8ft wide these are made at the warehouse and fitted in concrete posts and gravel boards which come in plain or rock face one sided or even in wooden posts depends on the customers prefers, all pressure treated, if we ever fit wooden posts we always put side rails down on the close board panels so they are the strongest they can be garden fencing in Nantwich, Cheshire. We make our own square trellis in the warehouse with approx. 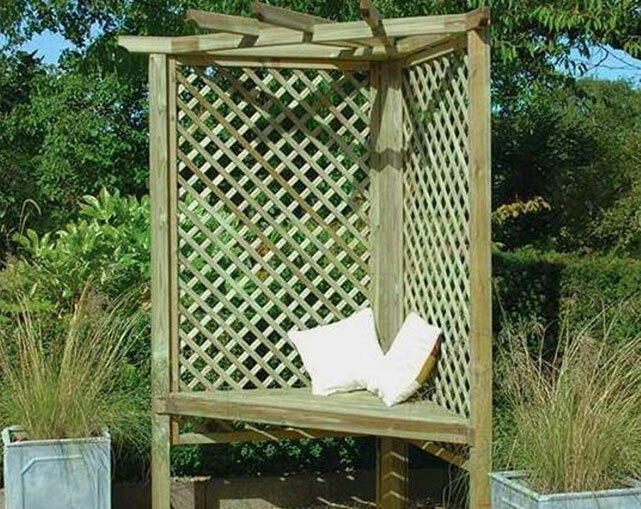 4” squares with laths all this wood is pressure treated also we can source the diamond trellis in from the KDM range which are fully framed in so they look really nice and are great quality fencing products, trellis panels in Nantwich contact us. 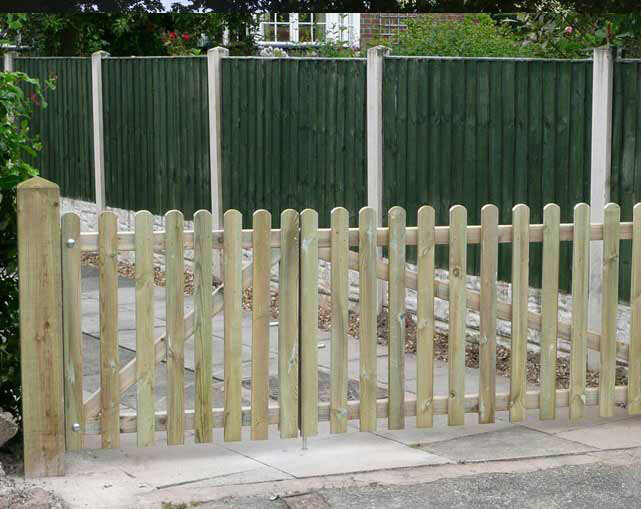 We also make the best picket fencing in Nantwich from rough sawn or planned pales, round top, pointed top, these panels can come in many different sizes 1ft to 6ft high and 1ft to 10ft wide we also make gates to match the fencing, all out pressure treated wood the pales can be 3 x 3/4 ” or 4 x 3/4” if they are planned they are smaller measurements, picket fencing stoke these panels look better with wooden posts but you can use concrete if you wanted to, timber fencing in Nantwich. We stock in KDM panels in which are our premium range of fencing in Nantwich, these fence panels will change the look of your garden please (find our brochure on these) also we can source the gates to match the fencing these panels are great designs to transform your gardens, these are all pressure treated these panels meet the highest standards of timber products.all the measurements are in the middle of the panels and all metric. these panels do you look nicer in wooden posts but they can still put in concrete posts if you want, decorative fencing in Nantwich, Cheshire. 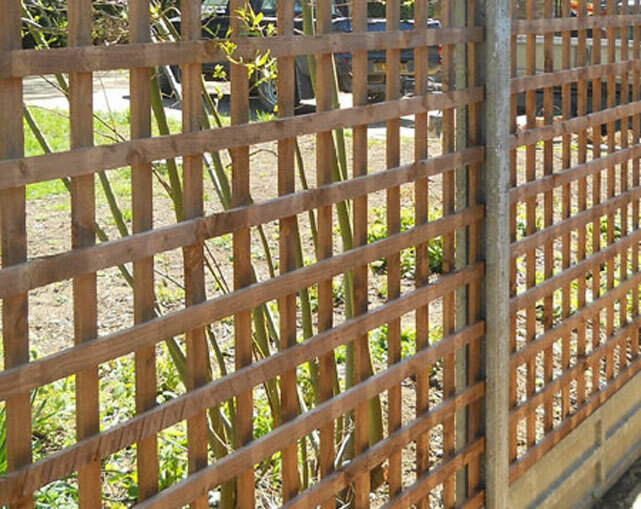 These panels are made by hand with screws to hold the boards together and staples for the trellis panels fencing in Nantwich and these meet the highest standards of timber products. all the measurements are in the middle of the arch panels and all metric. (So not 6ft ) but we have the extension kits for them so they fit into your existing concrete posts, these panels do look nicer in wooden posts because it’s all matching and same colour and blends in for the contemporary look but they can still put in concrete posts if you want, decorative fencing in Nantwich. 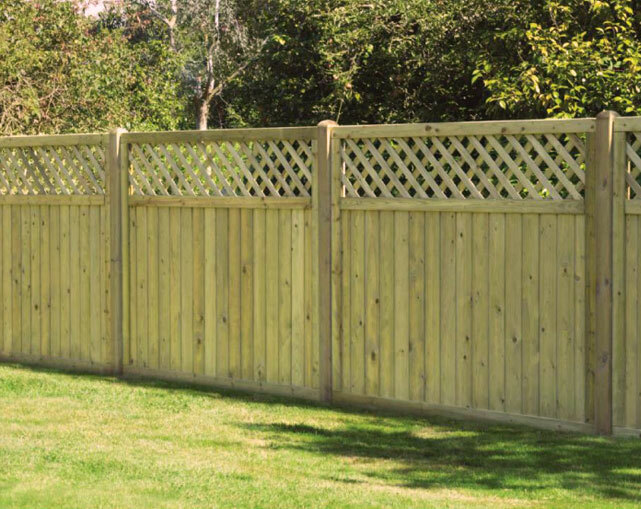 We stock in KDM panels in which are our premium range of fencing in Nantwich, Cheshire. 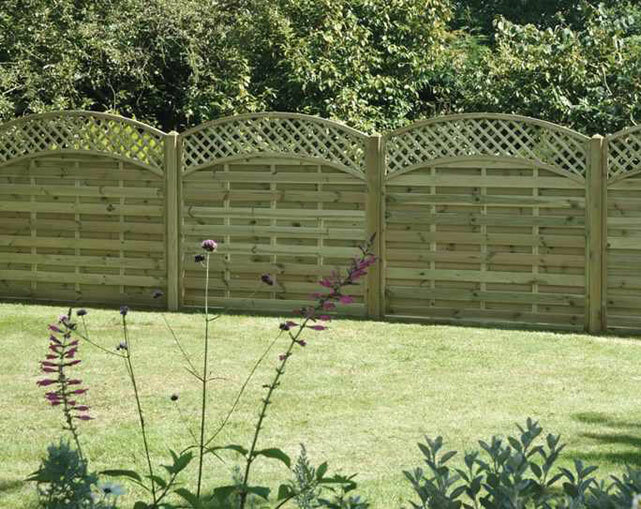 These premium fence panels will change the look of your garden. 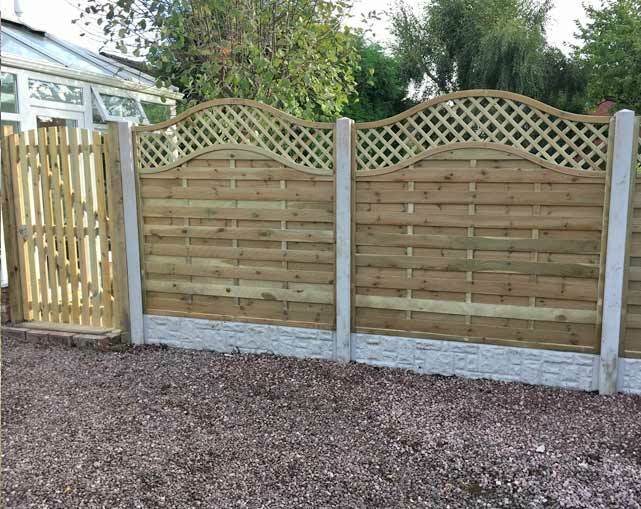 These panels are great if you need to screen off a section of your garden they come in straight, concave or convex, these can be put in with wooden or concrete posts, all pressure treated fencing in Nantwich. All these materials are pressure treated to help against the rot we do a free site visit or if you have the measurements we can work a price out for you in Nantwich, Cheshire.